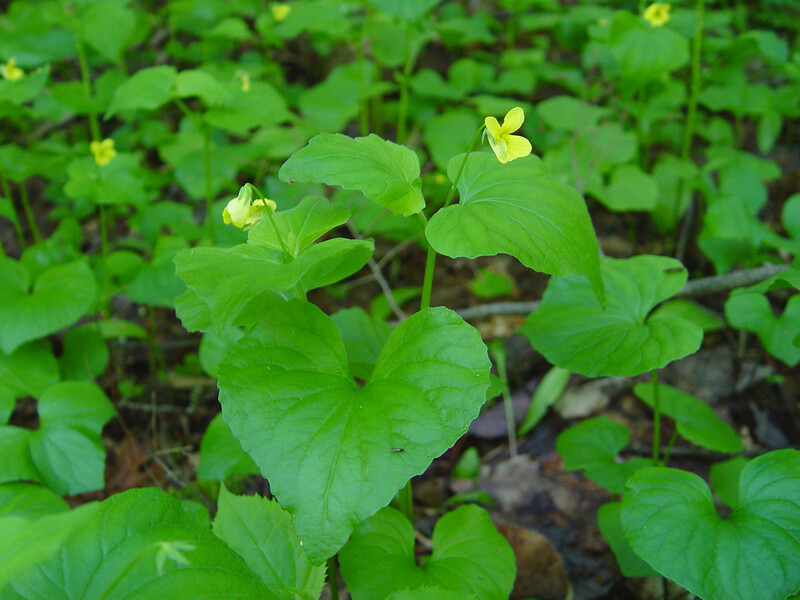 In addition to the yellow flowers, yellow forest violet also produces small bud-like flowers that never open, and self-pollinate themselves. 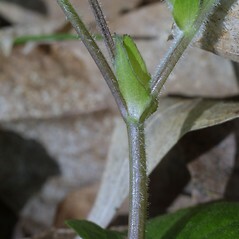 These generally appear later in the season, when the forest canopy is more closed, limiting the plant's photosynthesis. 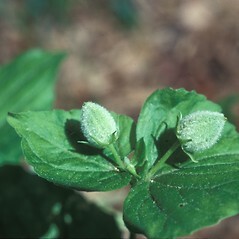 Both types of flowers produce similar numbers of seeds. 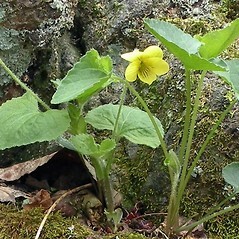 There are two varieties of yellow forest violet in New England. 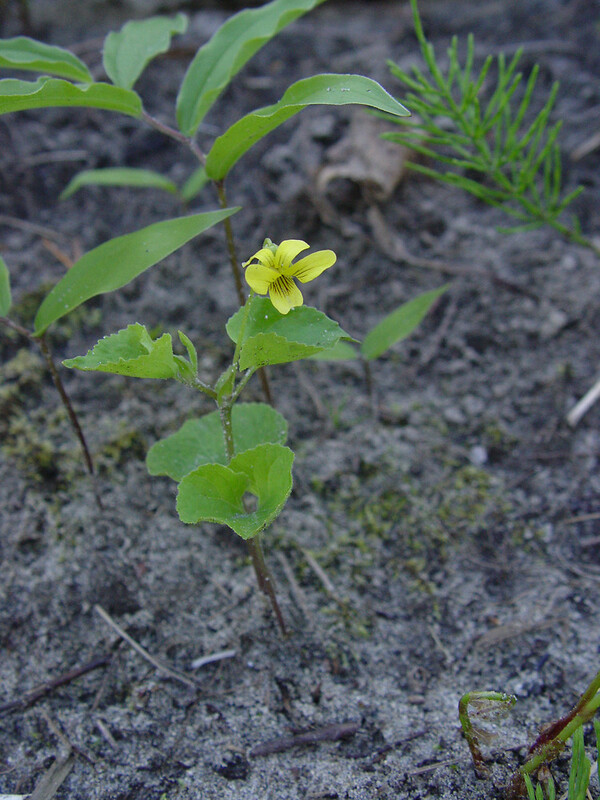 One (Viola pubescens var. 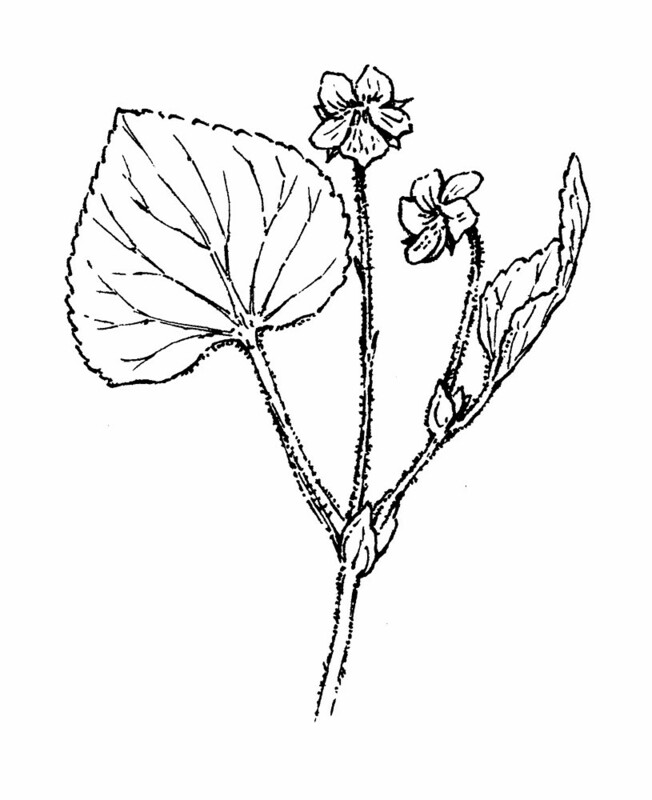 scabriuscula) is distinguished from the other (V. pubescens var. 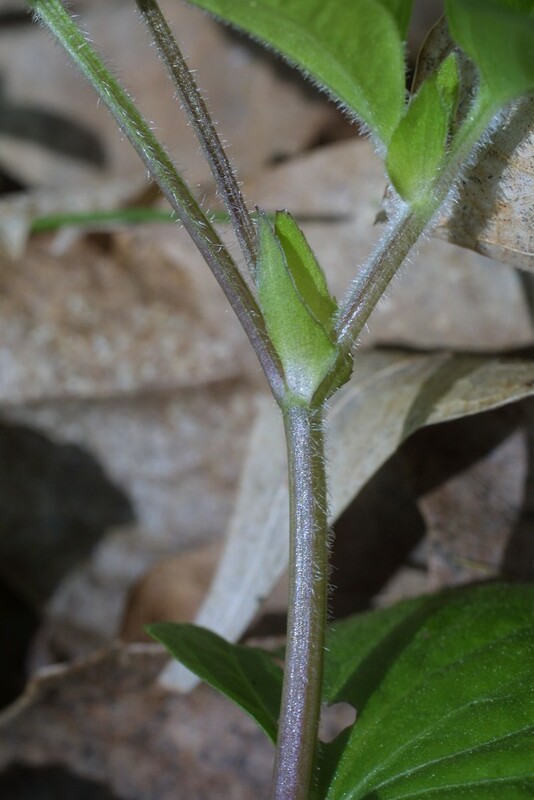 pubescens) in being somewhat more common, especially in northern New England, and in preferring moister sites. petals white with a yellow base and stipules at the base of the leaf pale, weak-textured (vs. V. pubescens, with the petals entirely yellow and stipules at the base of the leaf green, with leaf-like texture). 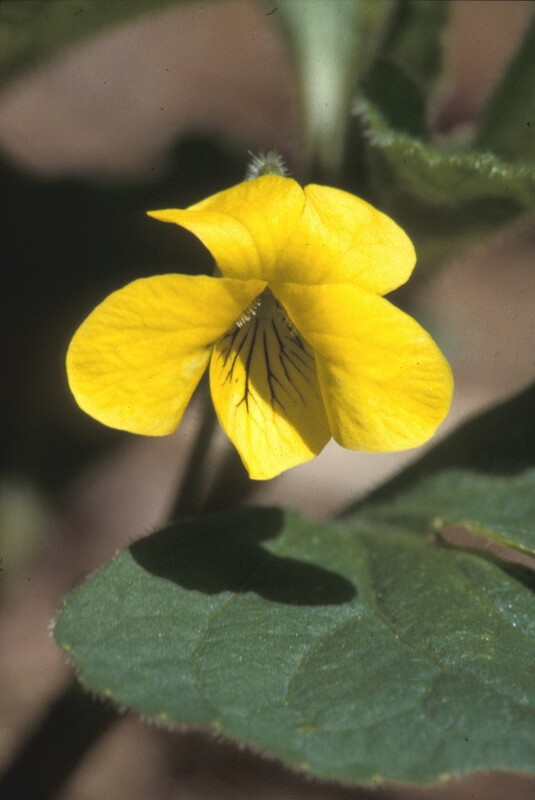 Viola eriocarpon (Nutt.) Schwein. var. leiocarpon Fern. & Wieg. 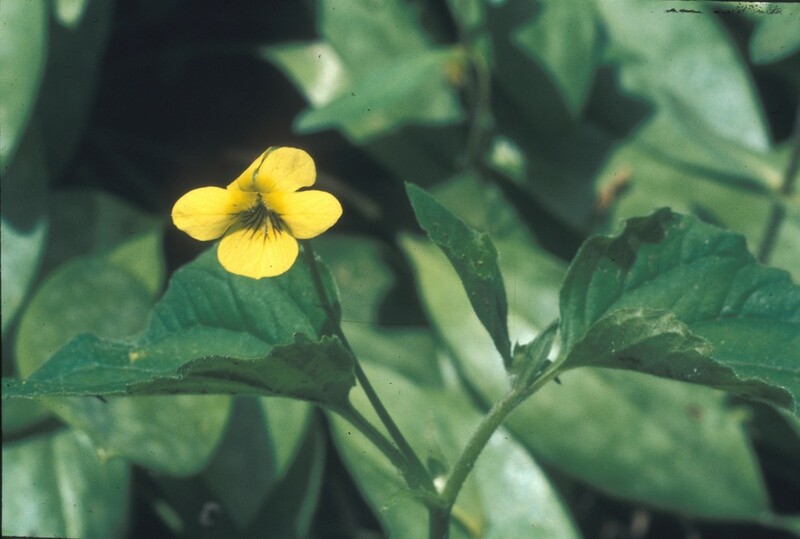 Viola pubescens Ait. var. 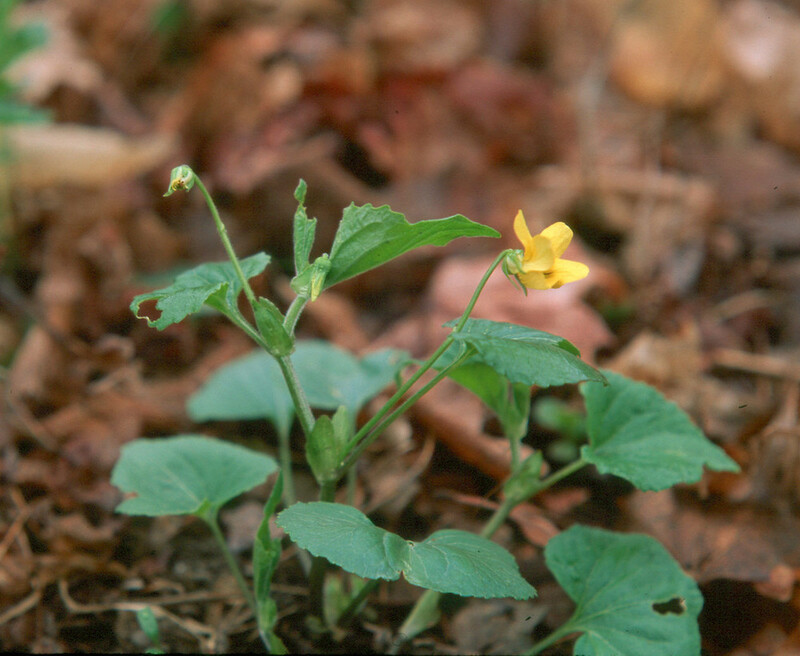 pubescens is known from CT, MA, ME, NH, RI, VT.V. 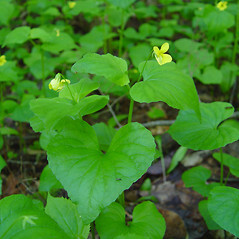 pubescens var. scabriuscula Torr. 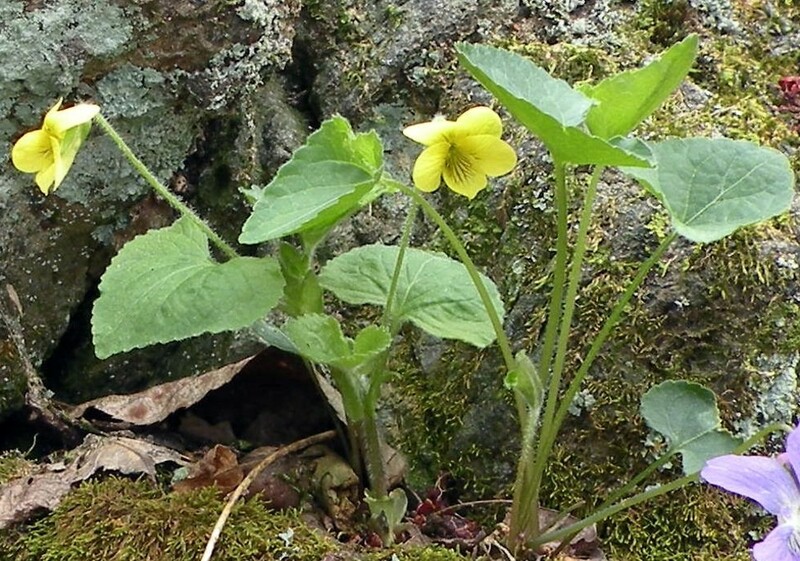 & Gray is the more common form, known from CT, MA, ME, NH, RI, VT.
yellow forest violet. 21a. 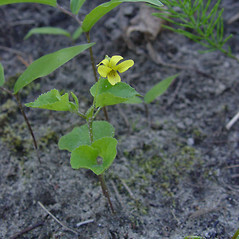 Viola eriocarpon (Nutt.) Schwein. 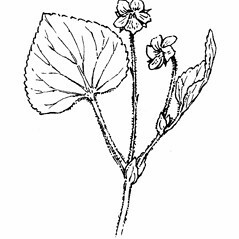 ; V. pensylvanica Michx. 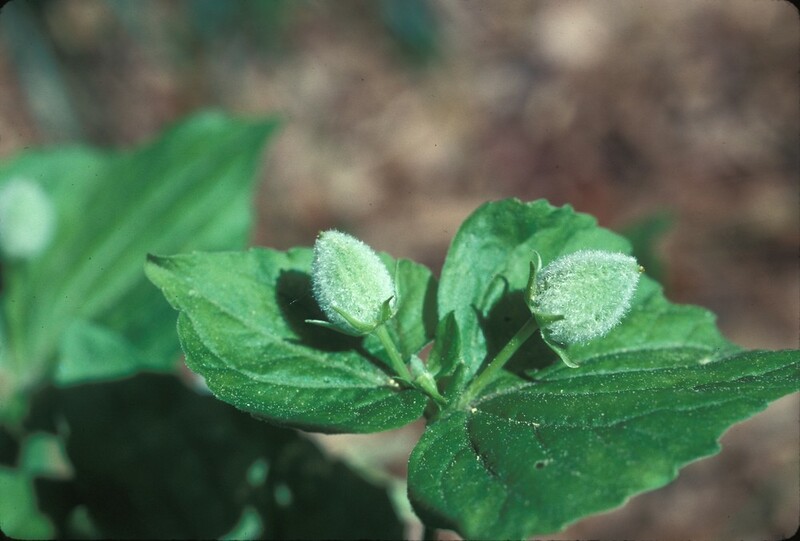 ; V. pubescens Ait. var. eriocarpon Nutt. ; 21b. 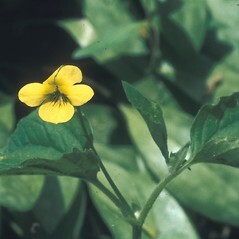 Viola eriocarpon (Nutt.) Schwein. var. leiocarpon Fern. & Wieg. 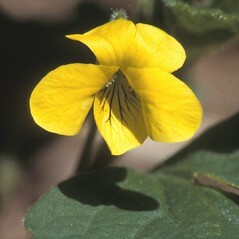 ; V. pensylvanica Michx. var. 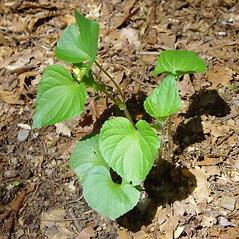 leiocarpon (Fern. & Wieg.) Fern. 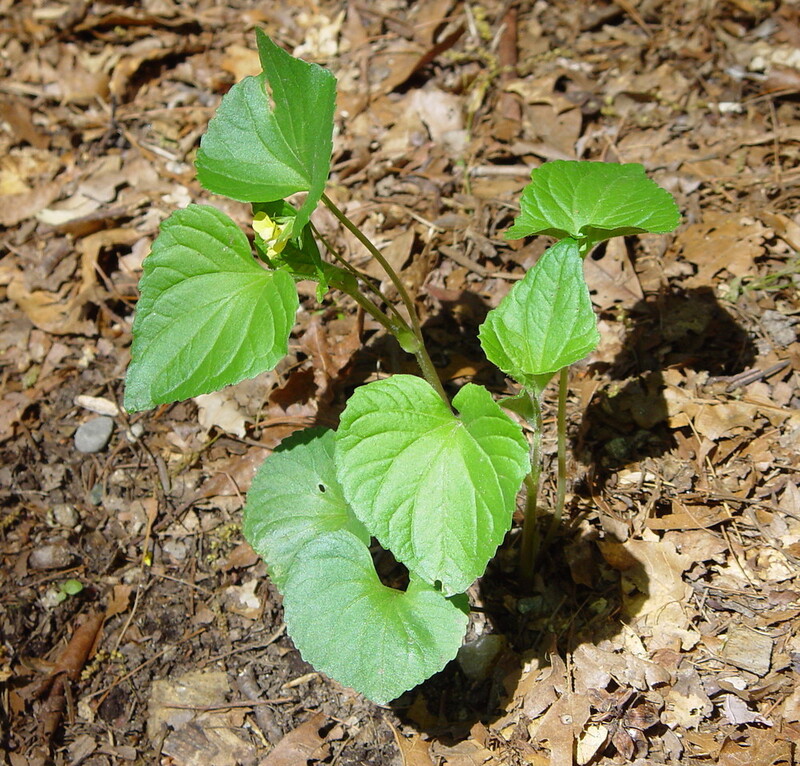 V. pubescens Ait. var. 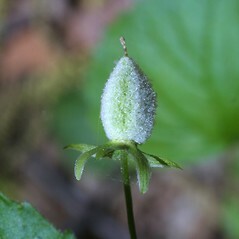 leiocarpon (Fern. & Wieg.) 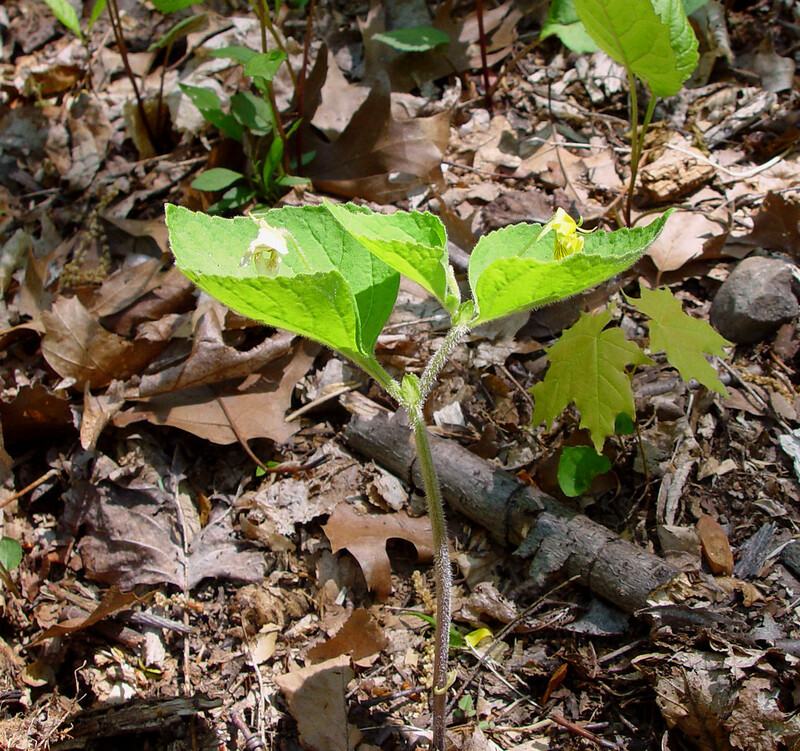 Seymour • CT, MA, ME, NH, RI, VT. Dry-mesic to mesic, usually deciduous, forests, including upland and riparian types. 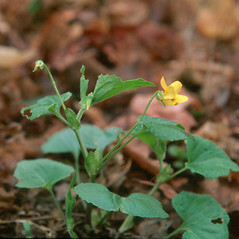 Variety pubescens is known from CT, MA, ME, NH, RI, VT. Variety scabriuscula is known from CT, MA, ME, NH, RI, VT. 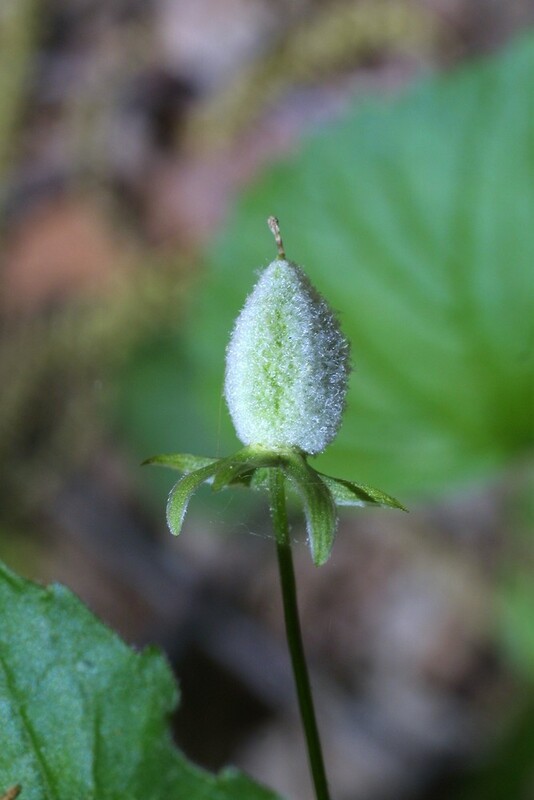 The latter variety is generally more common in New England, particularly in the northern states, and has an affinity for more mesic (rather than dry-mesic) sites.